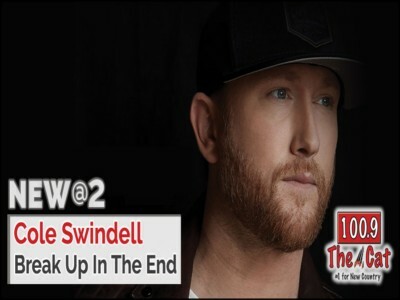 Cole Swindell returns with a sensitive new ballad and a respectful message in "Break Up in the End" as the proven hitmaker heads toward the release of his third studio album. It was released on Friday, the tune was written by Jon Nite, Chase McGill and Jessie Jo Dillon and finds its main character dealing with the lingering emotions of a still-fresh breakup. Backed by delicate strains of acoustic guitar, Swindell's measured vocals assure his former flame that even though they can't get back together, he wouldn't change a thing. Swindell has also released an official video for the song, with the Georgia native pacing under a single spotlight on a darkened sound stage.